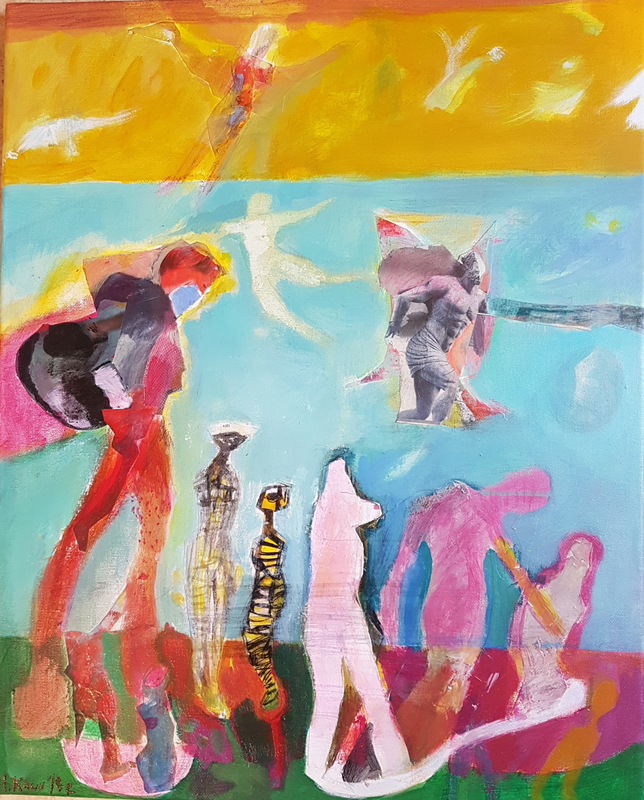 This mixed media painting is part of series of works on canvas and paper,where female walking figures are braving their way through one surreal world.I used drawing,painted cut-outs and found image collage,and acrylic paint on cotton canvas. The blue and golden colours,flying angels,"the sinners" on the Earth should remind of christian murals. The powerful archetypal images of male figures,classic and modern, on one hand, and the fragile naked figure of a woman,on another, tell the brave story of a survival and persistence.